"There is so much negativity in the world. You have to force that out and find something positive to focus on." - Random guy that I ran with for two miles and had a friendly conversation with during this run. I saw him coming. He was running towards the trail from a direction where I could see him. He was running at almost the exact same pace as me, and we were going to join up at the trail at pretty much the exact same moment. To be honest, I was kind of dreading it. He was decked out in a Kansas Jayhawks t-shirt and cap and I wasn't sure what to expect. I was a tiny bit ahead of him at first, but he caught up and graciously said hello. I said I wasn't sure if I could talk to him since I went to K-State. He laughed and we started a 2 mile stretch of road that we'd traverse together while pretty much talking the entire time. Although I was dreading it at first, I must admit that it was delightful. He had just moved a few weeks ago to Colorado, and told me that he was getting back into running. He used to run marathons, but it had been a few years. We spoke about running and college basketball and finding ways to motivate yourself and the importance of exercise and positive attitudes. Dude was probably in his early 50's, and he was exceptionally nice and had a tremendous positive attitude. It made my day running with him, and to think at first I was dreading it. Now, about that picture. I can honestly say that I would never in a million years want a mailbox like that, but I also have to say that I'm glad it exists. To know that someone opens the mouth of a trout to get their mail each day makes me feel a little bit better about the universe. 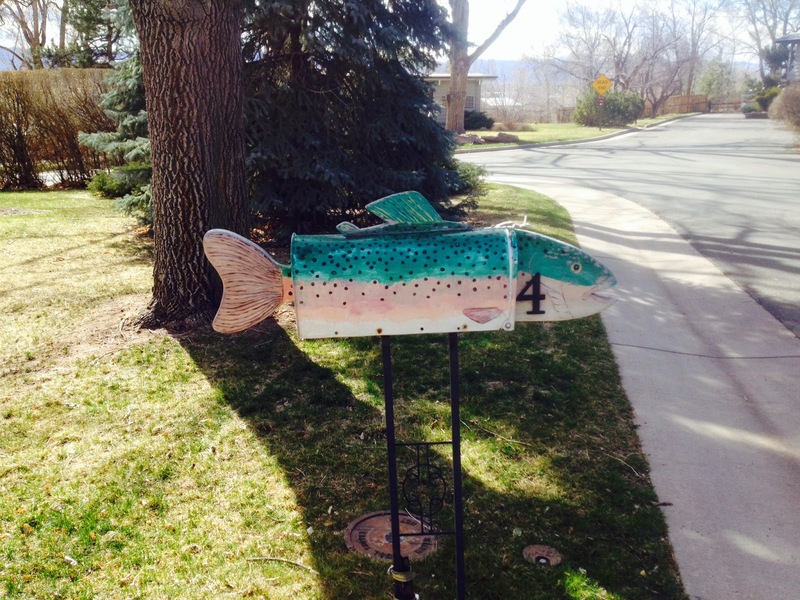 Someone intentionally installed a fish mailbox at their home. It's just indescribably wonderful that it happened, despite how horrifically tacky it is. I must say, I kind of love the chutzpah of someone so willing to flout* good taste and so horribly abuse the goodwill of his neighbors. I salute you, Mr. Fishlover. Well done! I saw this mailbox on my Thursday run, and so badly wanted to get a photo of it on the blog that I purposely tailored my route to make sure that I could get a picture of it for this run.